What is the Community Activities Center Gym Schedule? Please refer to the current gym schedule on the Community Activities Center page. Why Do I Have to Pay the County Rates for Classes and Activities If My Address is in Harrisonburg? On the outskirts of the City, the Harrisonburg address extends into Rockingham County. Many of our patrons have Harrisonburg addresses but physically reside in Rockingham County. The discounted rates are based on where you reside. 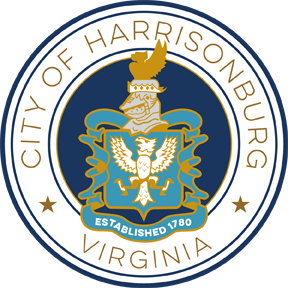 Am I Eligible for Discounted City Rates on Fees and Activities If I Own Property in the City of Harrisonburg but I Reside Outside the City Limits? No, only those residing within the city limits of Harrisonburg are eligible for these discounted rates. How Do I Get a Username and Password (Set Up an Account) for WebTrac - Online Registration? If you have previously enrolled in Harrisonburg Parks and Recreation classes, call 540-433-9168 to establish your account. If you are a new customer, you will need to visit the Parks and Recreation Administrative Office at 305 South Dogwood Drive, Harrisonburg, VA 22801 with your driver’s license and electric bill. What Proof of Residency Can I Provide to Show I Live Within the City Limits of Harrisonburg? A current photo ID or any legal document or utility bill that lists your residence address. How Do I Determine If I Am a City Resident for Online Program Registration? If your electric bill is from Harrisonburg Electric Commission, then you are a city resident. Any other electric company means you are not a resident. How Much Does a Membership to the Cecil F. Gilkerson Community Activities Center Cost? Can I Reserve a Shelter Online? Shelters will not be available through online reservations at this point. Reservations for shelters can be made in person or over the phone. How Can I Pay for a Class through Online Registration (What Credit Cards Do You Accept)? We accept debit and credit cards only online (Visa and Mastercard). Are My WebTrac Transactions Secure? Yes, the WebTrac system uses SSL to protect your Web session. Your session is encrypted using SSL (Secure Sockets Layer). Read more about this GoDaddy.com Verified and Secured site. What Are the Hours for the Cecil F. Gilkerson Community Activities Center? How Much Does It Cost to Rent a Room in the Cecil F. Gilkerson Community Activities Center? How Can I Gain Access to the Exercise Room? Can Guests Use the Exercise Room? Only current annual pass holders of the Cecil F. Gilkerson Community Activities Center or Simms Center may access the Exercise Room. What Ages Are Allowed in the Exercise Room? Middle school students with a current annual pass age 12 and over may access the Exercise Room with parental supervision. High school age students through adults with a current annual pass may access the Exercise Room with no restrictions. How Can I Reserve a Racquetball Court? Current annual pass holders may reserve court space for racquetball, squash, and Wallyball by calling the Community Activities Center at 540-433-2474 up to two days in advance. Courts are reserved by the hour, on the hour. The official times of open swimming on weekdays can vary due to other programming in the pool. On weekends open swimming times are always: Saturday 12-6 and Sunday 1-8. View pool hours on the Swimming page. What are the Lengths of the Pools? The diving pool is 25 yards x 54 feet. The Olympic pool is 50 meters x 25 feet. What Activities Happen at Westover Pool? Westover Pool offers many activities year round including swimming lessons offered several times a year, swim teams, aqua aerobics, life-guarding classes, an annual dog swim, birthday parties, etc. When Are Swimming Lessons Offered? Swimming lessons are offered several different times during the year. Parks and Recreation offers multiple sessions during the summer during the week. In the winter and fall months there are classes during the week and classes on Saturdays. For specific dates check the most recent Activity Guide. What Items Can I Not Bring to the Pool? The following items are prohibited: outside food and beverages, gum, glass, boom boxes without headphones, hard plastic footballs, basketballs etc. How Tall Do I Have to Be to Go Off the Diving Board and Waterslide? There is no height requirement for the diving board, but depending on age and swimming ability some guests may be asked to take the swimming test before using the diving board. Guests using the waterslides must be at least 4 1/2 feet tall. A swim test may be required to ride waterslides. Can I Rent the Pool for a Party or Event? Yes, if you are interested in renting the pool call the main office number 540-434-0571 or drop by to speak to the Aquatic Director for information about rates and times. Does Westover Pool Provide Lifejackets? No, but you are welcome to bring your own. If you have questions about how lifejackets are used feel free to ask any lifeguard they would be glad to assist you. Are Memberships Available for Westover Pool? Yes, there are several different types of memberships including Summer passes for individuals and families, Winter season passes for individuals and families, Annual Passes for individuals and families, and Combo Gym/Swim passes for individuals.